Staples Marketing has been fortunate to be able to work with the Wisconsin Department of Transportation on its annual CLICK IT OR TICKET campaign since 2006. In some ways, it’s amazing to me that in this day and age, we still have to make a concerted effort to get people to do something that should be a no-brainer. Bottom line is; you wear your seat belt, you have a much greater chance of surviving a car crash. This is incontestable fact. However, for a variety of reasons; peer pressure, laziness, misguided libertarianism or just simply forgetting, too many people in Wisconsin are still not buckling up. Things are looking up, though. In fact, since the state implemented its primary seat belt law four years ago, seat belt usage has increased by almost 10%, currently standing at 83%. This still trails the national average of 86%, as well as neighboring states such as Illinois and Michigan, which see levels in the mid-90% bracket. That’s why we’re happy that future Hall of Famer Donald Driver has been on board as our seat belt safety person for the past four years and just helped us kick off the 2014 campaign with a news conference in Madison. Driver, who by the way has the perfect last name for a highway safety campaign spokesperson, gets emotional when he talks about how he was personally impacted by the issue when a good friend of his who was not wearing her seat belt was killed in a car crash that she might have survived had she been belted. By teaming up with WisDOT, Driver gives us an excellent chance to reach the 18-34 year old male segment of the population that is most prone to not buckling up. After all, if they won’t listen to one of their all-time football heroes, who will they listen to? Late Monday afternoon, Donald posted his annual CLICK IT OR TICKET message to his Facebook page, reminding his “friends” that they could enter to win an autographed football from him if they click through and take the Driver Safety Quiz on WisDOT’s ZERO IN WISCONSIN campaign web site. In just four days, nearly 5,000 people have done this, an incredible amount of direct engagement with many of the people we need to reach most with the campaign. 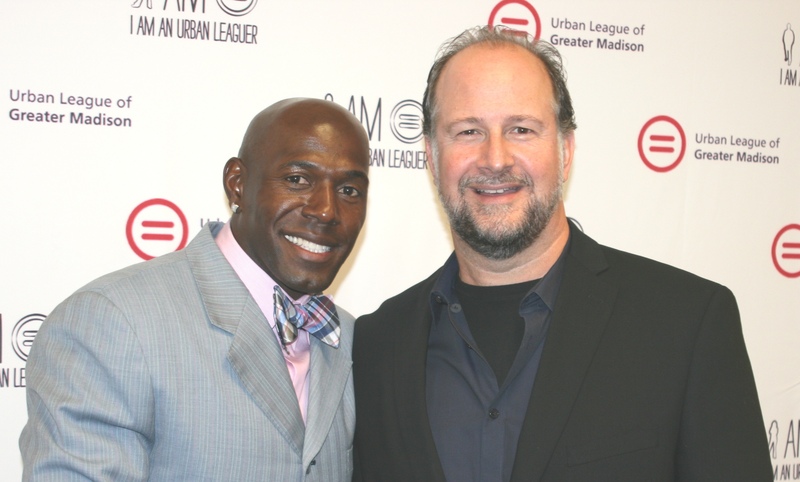 So, if anyone reading this post knows a friend or loved one who, for whatever reason, doesn’t wear their seat belt; please remind them to do what Donald Driver does; CLICK IT OR TICKET!